With news that one of the world’s coolest fountains may or may not be on the chopping block, travelers can take heart knowing there are more incredible water displays out there. In ancient Greece and Rome, fountains were designed to bring water to the people from nearby springs and aqueducts. Of course, such structures have evolved to become things of beauty. These days, people the world over stand in awe as incredible amounts of water are shot into the sky while synched to music. One of the greatest examples of the modern fountain era, the Dubai Fountain stands at the foot of the Burj Khalifa and steps from the Dubai Mall. 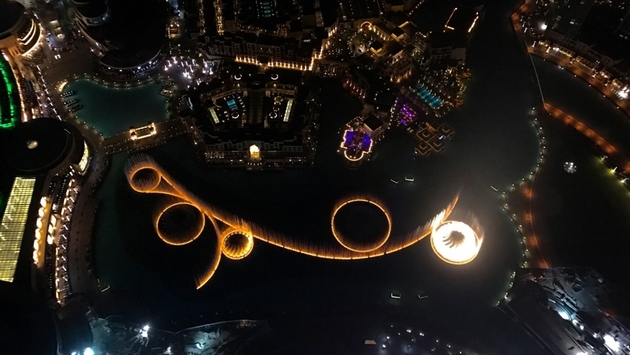 The world’s tallest “performing fountain" attracts hordes of tourists on a daily basis, spanning more than 900 feet in length and situated on the 30-acre Burj Lake. More than 6,600 WET Superlights illuminate the fountain along with 25 color projectors. As the fountain performs to any number of classical, contemporary, Arabic or world music tunes, more than 22,000 gallons of water shoots into the air. It is quite a spectacle and a must when visiting Dubai. If you are headed to Xian, China, the gardens surrounding the Big Wild Goose Pagoda are magnificent. These were constructed to highlight the importance of the pagoda and are home to Asia’s largest musical fountain, found in the North Square. The T-shape display covers an area of approximately 15,000 square meters in three areas: the hundred-meter Waterfall Pool, the eight-level Plunge Pool and the Prelude Music Pool. As the music starts, the central square comes alive with a water display. The fountain creates different shapes and patterns, including lotus flowers, a spring, clouds and more. There’s also a 60-meter-high water column and a laser water curtain. The entire presentation is synched to music and is lit at night, with the pagoda standing tall in the center. The Trevi Fountain is the largest Baroque fountain in the city of Rome and, while it may not be wooing visitors with spectacular light shows and water shooting into the sky, it does have its own cache. The fountain itself is a thing of beauty, however. Constructed during an era when there was competition to build lavish, architecturally stunning buildings in order to land large commissions by artists, the results were obviously spectacular. Nicola Salvi won the right to construct the fountain in 1732, and it was completed in 1762. The fountain underwent a renovation that was completed in November of 2015, during which it was fitted with more than 100 LED lights, adding to the beauty of the Trevi Fountains' illumination at night. During an age of exhibitions and world’s fairs, the Magic Fountain of Montjuic sprung to life in Barcelona's Montjuic neighborhood. The fountain was constructed in less than one year for the Great Universal Exhibition by more than 3,000 workers. It was designed by Carles Buigas and was considered too ambitious a project when originally conceived for the exhibition. However, it began operation on May 29, 1929, the day before the show began. Buigas had started building illuminated fountains in 1922, and music was added to the light show during the 1980s. Its repertoire includes classical as well as modern music, such as the themes of “The Godfather” and “The Lord of the Rings.” Performances take place at half-hour intervals on the weekends. A visit to Singapore’s Fountain of Wealth will (most likely) not make you rich but, if you happen to be walking by when the fountain is turned off, be sure to run in and grab your share of coins. The fountain was built in 1995 and is constructed of silicon bronze. During 1998, it was recognized by the Guinness Book of World Records as the world’s largest fountain. The circular ring was designed to represent a “oneness in spirit” and stands for equality and harmony among the people of Singapore. The inward flow of the water is a symbol of wealth and life in Chinese culture, representing the flow of riches pouring in. Laser light shows illuminate the fountain nightly.